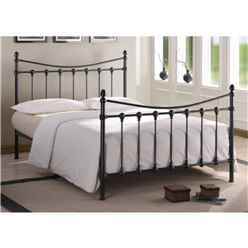 The Black bed frame is a stylish quality frame with delicate detailing, solid metal bars, and crest detailing and rounded top bed posts. 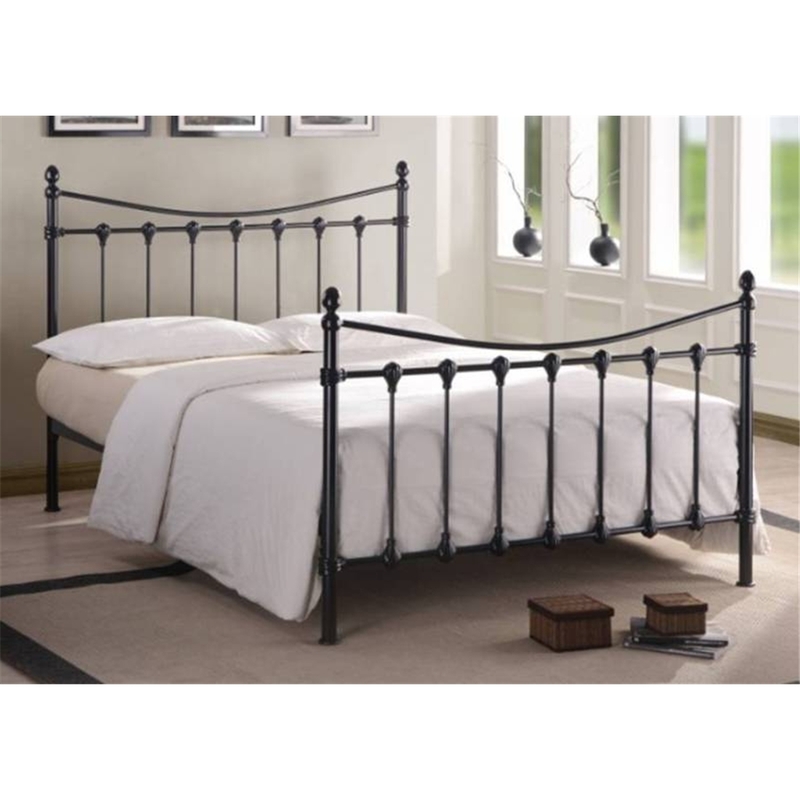 It has an elegant durable Ivory gloss finish which makes it perfect for any bedroom setting. It has a sprung slatted base for increased comfort and extended mattress life. It is also available in Small Double, Double and King sizes and in Ivory.